T3 helps to reverse insulin resistance and diabetes. After treating hundreds of patients I've found the two MOST common hormone imbalances in hypothyroid patients to be decreased T3 and insulin resistance. Most Doctors miss the connection between insulin resistance and hypothyroidism, and it may be the PRIMARY reason you are unable to lose weight. But also, what kind of thyroid medication and dosing it takes to get there. 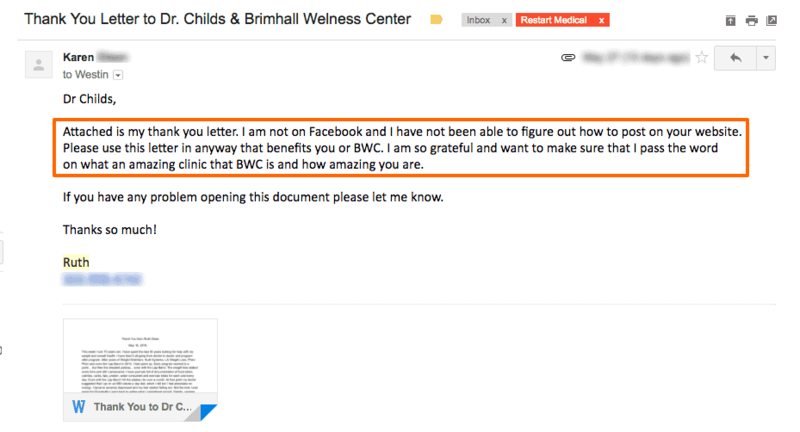 ​The crazy part about her history was that no one had actually ever diagnosed her with diabetes (or insulin resistance), thyroid issues or anything else. Immediately I found that she suffered from Diabetes type II (insulin resistance) and because of this, I didn't even have to look at her thyroid function tests to know they were off. Because insulin resistance (along with leptin resistance) can lead to hypothyroidism (1). 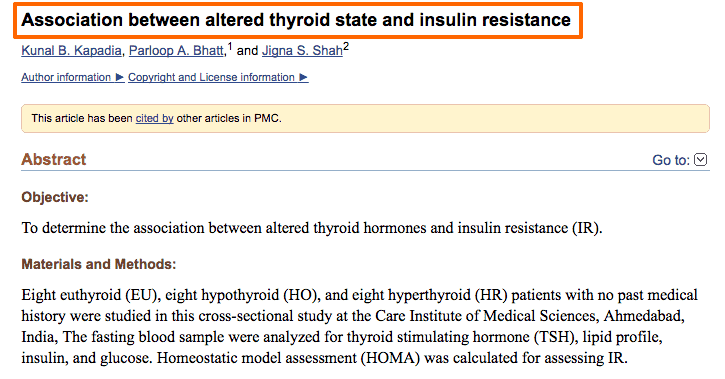 Not only that but treating hypothyroidism with T3 helps reverse insulin resistance (2)! Both hormonal imbalances are connected! ​And if she had seen an endocrinologist or GP that didn't understand thyroid function, she would have most likely been labeled "normal". 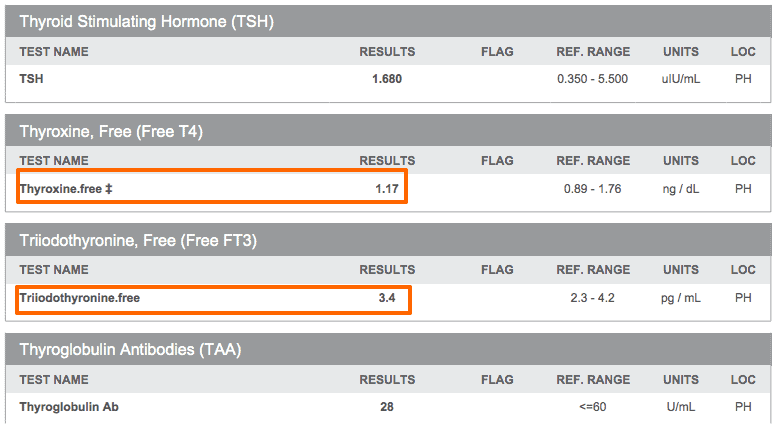 Low free T4, high reverse T3, and a falsely "normal" free T3. ​And actually, this is one of those cases where her thyroid studies don't really adequately reflect what is happening in her tissues. Starting Hgb A1c of 6.7 which falls into the type II Diabetes range (3). In addition to reversing her diabetes, she lost 36 pounds and almost all of her symptoms have vanished. 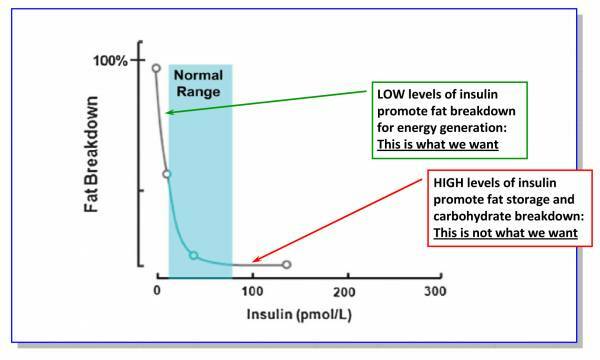 What you have to understand is that high levels of insulin and type II diabetes will make it impossible to lose weight. If you don't address BOTH your thyroid AND your insulin levels you most likely will never feel better. And this is a problem I see all too often in many patients. They go to a "thyroid specialist" get on T3 medications, but their weight doesn't come off. The problem is you really won't ever feel better unless ALL of your problems are being addressed - not just one. And in order to treat it, you really need to use adequate amounts of T3 hormone and/or NDT. In this case, I started the patient on Natural Desiccated Thyroid using WP-Thyroid with a titration of 32.5mg every 10-14 days. She noticed an almost immediate improvement in her symptoms on the medication and it continued to improve. After setting on 65mg I started to add liothyronine to her regimen to boost insulin sensitization and help increase her metabolism (it was damaged from years of yo-yo dieting). ​She is currently feeling great on a combination of 25mcg of Liothyronine and 65mg of WP-thyroid. And I don't recommend basing your dosing off of your lab tests, I just wanted to give you an idea of what it looks like in her case. 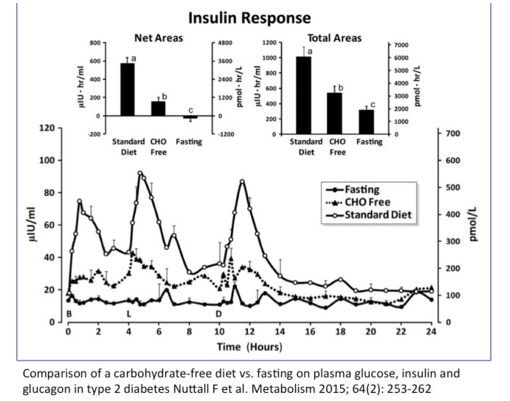 I put this patient on a fasting routine that was based on her fasting insulin level. In her case, she needed a fasting routine of about 36 hours to lower her insulin enough to allow her body to burn fat as a fuel source. ​If insulin levels are high, it's impossible for the body to burn fat. This is the part that so many patients get wrong. They think that their diet is the KEY to weight loss. And in about 50% of you, it may be true. But in the other 50% - it doesn't matter how little you eat or what kinds of food you eat, the weight won't come off. And that's because weight gain is almost always a hormone problem. In this case, I simply put her on a whole foods based diet which naturally favored high-fat foods, but did NOT limit natural sources of carbs like moderate amounts of potatoes/fruits/white rice, etc. ​While balancing other hormones, this was enough to allow her body to shed her excess weight. If you've read my other case studies you know how important these other areas are to obtaining optimal health. I had this patient use the FAR IR sauna (4) frequently to help boost heat shock proteins, burn excess fat and help detox endocrine disrupting chemicals. In addition, I also had her start slow weight training in combination with plyometric HIIT. In addition to thyroid hormone, she was also placed on bio-identical testosterone. Her supplements were directed at the deficiencies found in her blood work: Liquid iron, Vitamin B12, Vitamin D, adrenal support and Zinc + Selenium combo. You should also take note that you don't need hundreds of supplements to feel better either - you only need to take what you are deficient in. For stress reduction, I had her practice mindfulness techniques along with SMT and meditation. > 40 pounds of weight loss at this point (steady 4-7 pounds of fat mass lost each week), no chronic pain, now sleeping through the night, diabetes is reversed, cholesterol levels improved, and energy now 9/10. Of course, her treatment is not done, she still has another 40 pounds she would like to lose (definitely very possible). Dealing with hypothyroidism is so much more than just getting on the "right medication" and getting your free t3/free t4 levels in the "optimal range". If you want to actually feel your best and lose those extra pounds - you really need to take a comprehensive approach. That means a complete hormonal analysis with a comprehensive functional blood panel - only then will you see what ELSE is going on. When it comes to weight loss, I've only seen the thyroid being solely responsible for about 15-20 pounds of excess weight gain. Anything more than that is usually some other hormone imbalance. The problem is that it can be difficult enough to get a Doctor to treat even your thyroid correctly, let alone look at these other hormones. But don't give up! You can feel better. 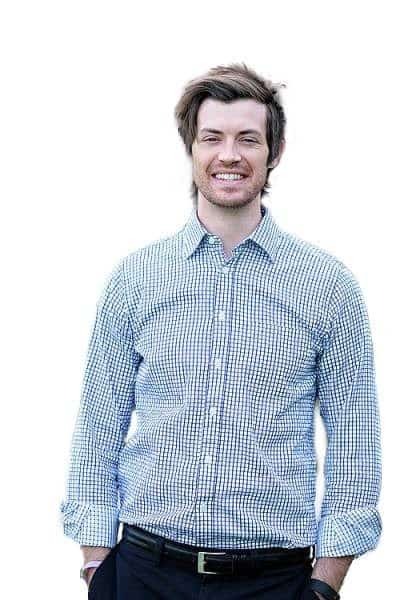 If you've been struggling with hypothyroidism, weight loss, or insulin resistance and think you would benefit from my approach then you can learn more information about my weight loss program and therapies here. Let me know if you have any specific questions about this case below and I will answer them.